One thing to look out for on shafts is pitting. Pitting corrosion, or pitting, is a form of extremely localized corrosion that leads to the creation of small holes in metal. 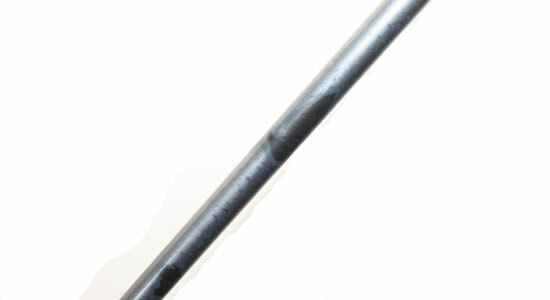 In golf pitting will occur on steel shafts where the protective chrome layer has been attacked by the corrosion. 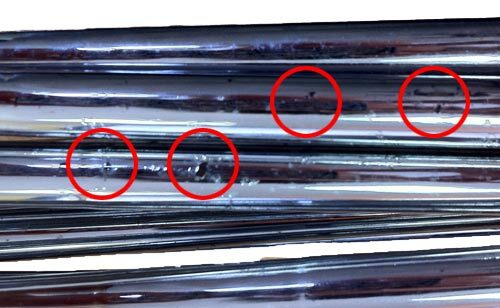 The first stage of the pitting process will be the appearance of rust spots on the shaft which can be prevented by cleaning after use. Shafts that have started the pitting process can not be cured as it will spread to other areas of the shaft, progressively weakening the structure of the shaft. If you can see any signs of this process on your clubs we would not be able to offer a years warranty so will be unable to make you an offer for the sale of your goods. 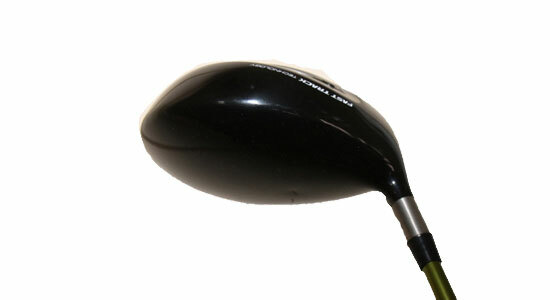 Despite being a fairly new model of fairway wood, this club has lots of deep chips around the back of the head. These, along with the scratches across the top of the head are a sign that this club has been poorly treated and has probably never seen a headcover. 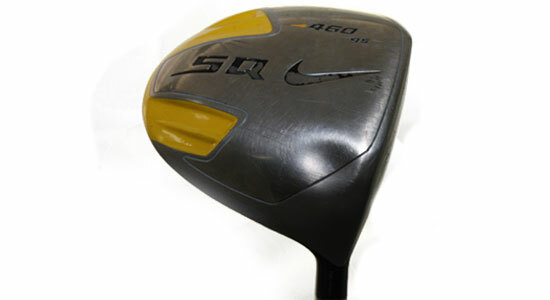 Needless to say this club didn’t make it onto the site and was returned to the seller. This iron has been used so much that the protective coating has worn away from the face. 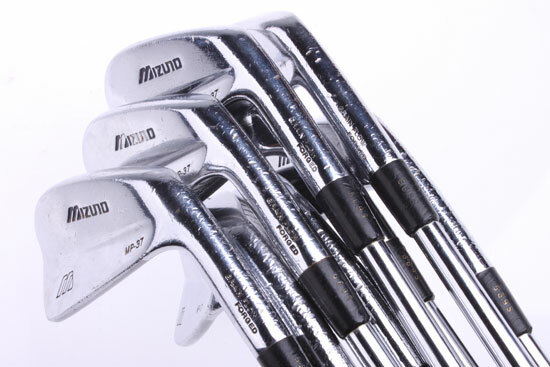 ‘Penny marks’ such as these are common on clubs that have had very heavy use and often appear on players favourite practice irons – normally a 6 or 7 iron that has spent a lot of time at the range! If this has only happened on your wedge then you may be able to sell us your set as 3-9 iron. 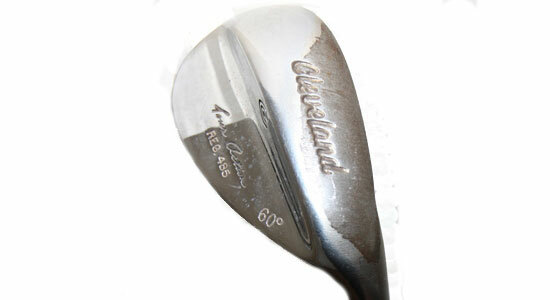 Like the previous iron, this wedge has had excessive wear to the sole causing the chrome finish to deteriorate. In addition to the scratches and chips that you can see on this hybrid there is a more pressing concern with the attachment of the head. 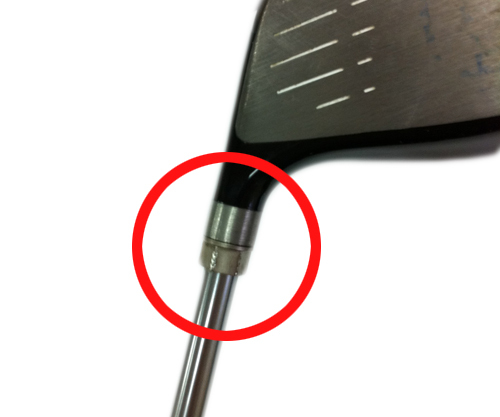 The large gap between the ferrule and the neck of the club shows that the club head is slipping off the shaft. 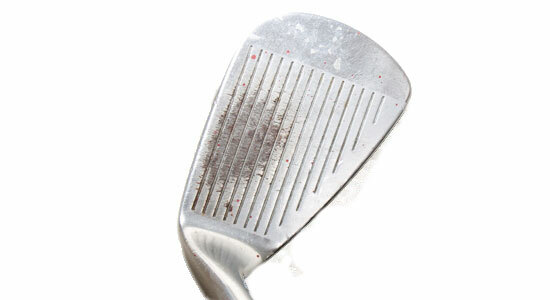 This club is in very poor condition and we would not purchase this club. 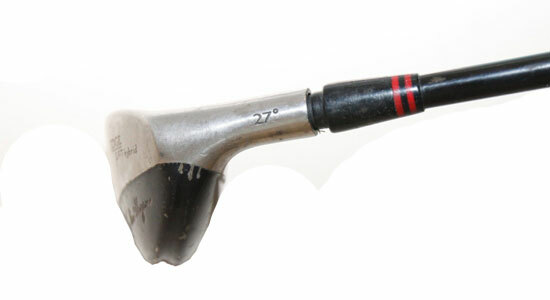 Another common reason for Golfbidder to reject golf clubs is because of broken ferrules. As you can see on this picture the ferrule (black plastic ring at the join of the head and shaft) has cracked and broken away. Although some minor wear of the paintwork on graphite shafts is to be expected on clubs beyond a certain age, we cannot accept clubs that have spots of wear greater than a centimetre. We also cannot accept wear that has gone beyond the layer of paint and worn the graphite itself. Another shaft issue here. If you look closely at the image you can see that the new shaft has been poorly fitted. 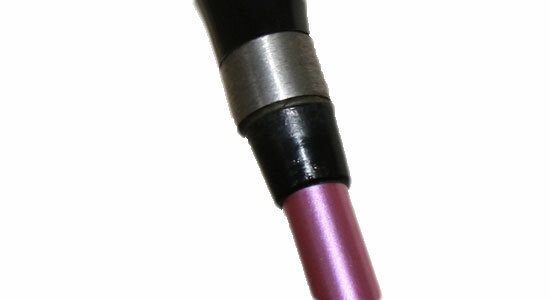 The ferrule looks too small and the shaft appears to have been fitted at a slight angle. The dent in the sole of this driver is a lot more obvious. 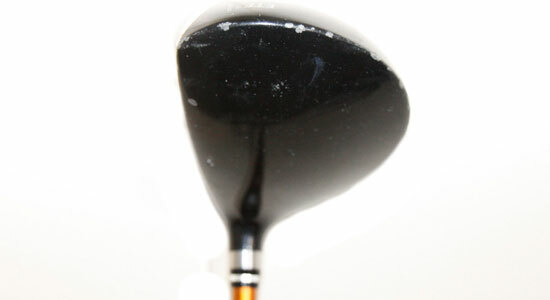 Dents like this are not caused by clubs banging together - they are caused by the user (most probably taking anger out on the club after a topped drive). It would be very rare for this kind of impression to be created by clubs banging together - either way, we cannot take in clubs with dents/impressions in the head. A new trend that is becoming very popular amongst golfers is to disguise sky marks by colouring over the skied areas or painting over large areas of the head. As you can see via the picture link the customer has used an excessive amount of white paint to try and disguise the sky marks. so much was used that it has leaked over on to the clubface. These clubs will not be accepted and will be sent back to the sender. Here is another example of a poor re-shaft. This time however a bolt has been fitted instead of a hosel, maybe they were trying to innovate a new 'screw in shaft'. Who knows but sadly we can not accept clubs without the proper parts used when re-shafting. 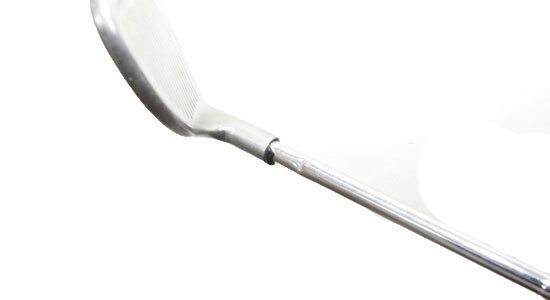 If your blades have a coating please ensure that it is still smooth before sending in your clubs. 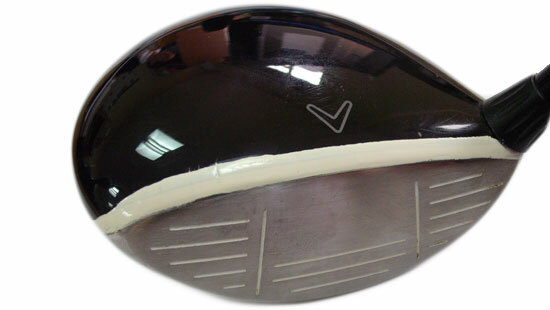 As you can see from the example above there is a case where some forged clubs can develop a ripple. If your irons are like this we will not be able to accept them in.